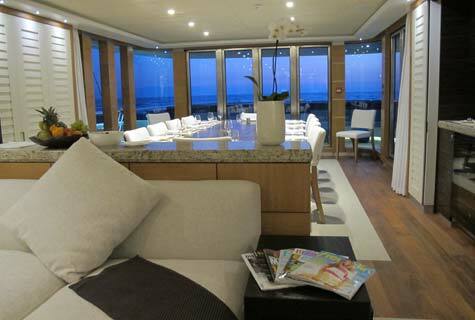 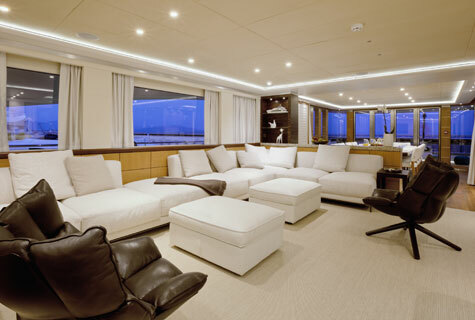 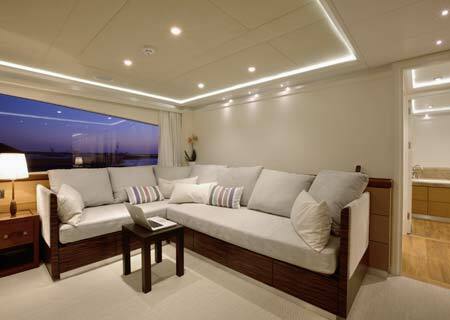 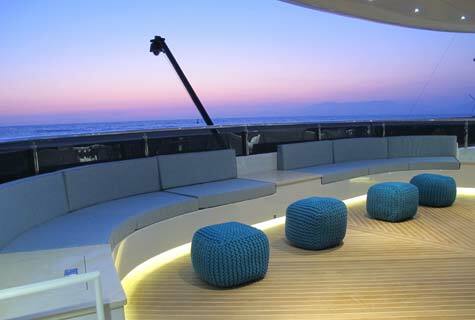 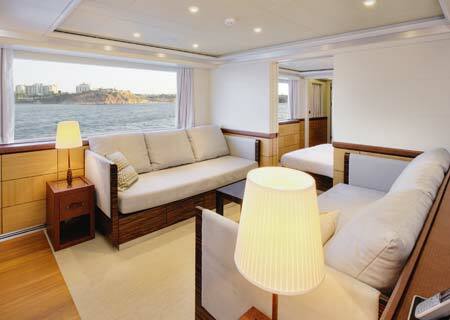 Two hulls give the Curvelle quaranta more stability and an abundance of space and natural light on higher decks. 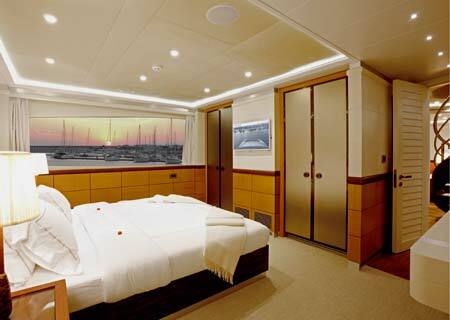 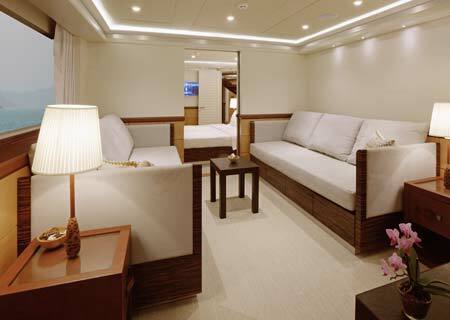 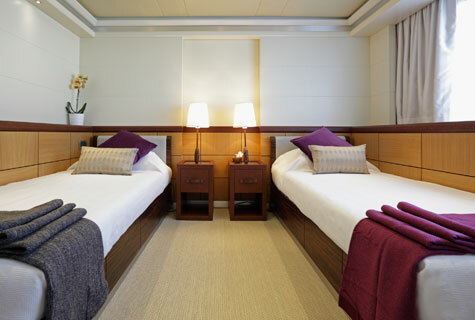 That means we've been able to build six spacious guest staterooms on the quaranta’s main deck, and a magnificent saloon and dining area on the deck above. 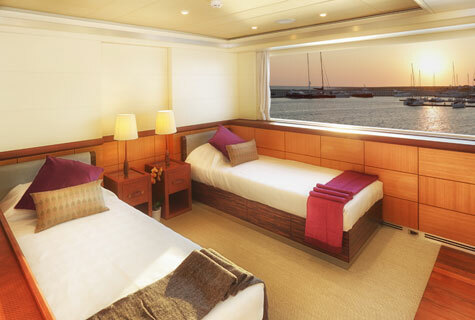 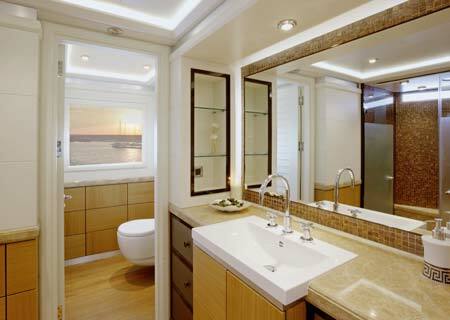 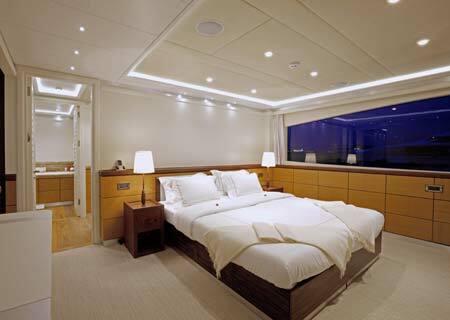 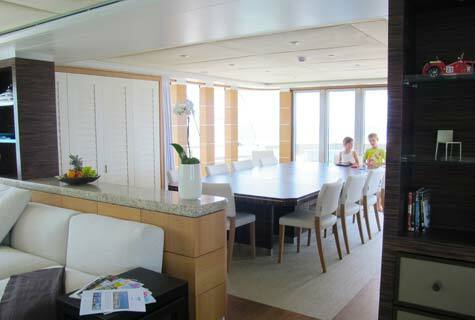 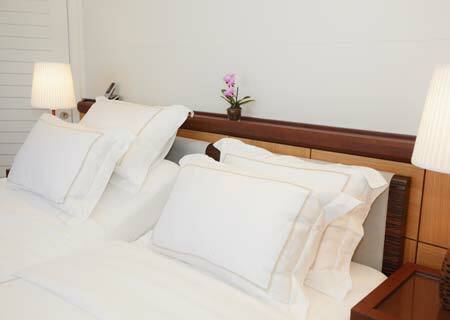 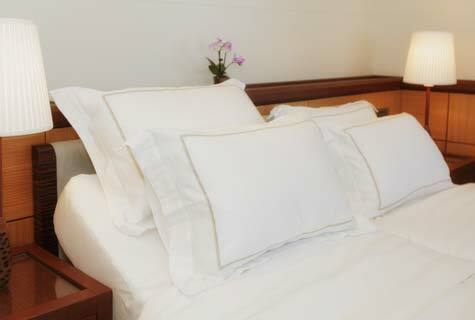 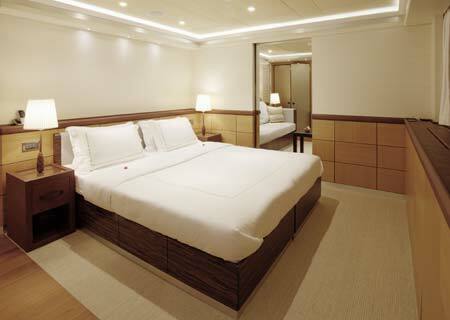 Each stateroom boasts incredible large picture windows to enjoy the view.